When you are in need of emergency eye care in Houston, TX, count on our team at Eye Care Associates. There are times when you may need immediate care for your eyes. Any time that you experience trauma to your eyes, you need to be seen. 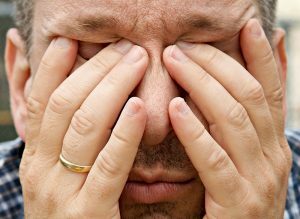 If you get anything in your eye, especially chemicals and foreign objects, you should be seen immediately to limit the potential damage to the eye. The sooner that you get treatment for your eyes, the quicker you can have relief and start to feel better. Early detection and treatment of problems can also help prevent serious damage to your eyes or vision. There is no definition of what is or isn’t an emergency; if you feel that you should be seen for any reason, please give us a call right away. After hours, you should get to the nearest hospital for care or, if necessary, call 911. If you have any questions about an eye problem that you are concerned about, please call us today at (713) 621-9001.